Dyson is teasing a big announcement for September 4, and it released a new video teaser to get people thinking about what might be unveiled. The video shows a lab as seen from the perspective of a particularly wide-angle lens, along with quick bursts of schematic imagery that’s somewhat suggestive of robotic vacuum designs, with a circular device even depicted rolling along the floor at one point in the video. Dyson isn’t saying exactly what “Project N223” is just yet, but the company has been spending a lot on robotics. Back in February, we reported on its £5 million (over $8 million U.S.) investment into robotic vision research, which it is conducting with the Imperial College London. Even prior to this investment, Dyson has been engaged in a 15 year project studying systems that allow robotic devices to see and analyze their surroundings, which has clear benefits for robot vacuum hardware. The iRobot Roomba 650, which Dyson could be looking to one-up. 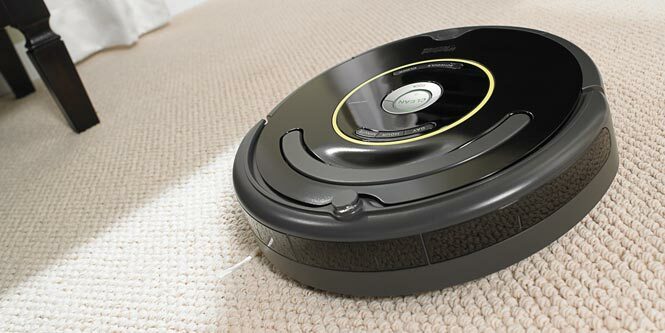 Pioneers in the robot vacuum space include iRobot, which created the Roomba, but seeing what kind of take the best vacuum maker in the world can offer, especially given the innovations they’ve brought to traditional vacuums, should be exciting. Of course, this could still theoretically be a robot butler or something else entirely, but at least we don’t have to wait in suspense for long.